It will be painful to phlegm whole day. This requires you eat something which give you instant relief. Cough syrup is very effective to overcome in cough but they also have side effects such as dizziness, sleep and laziness. People used home remedies to get relief from cold-cough in past. 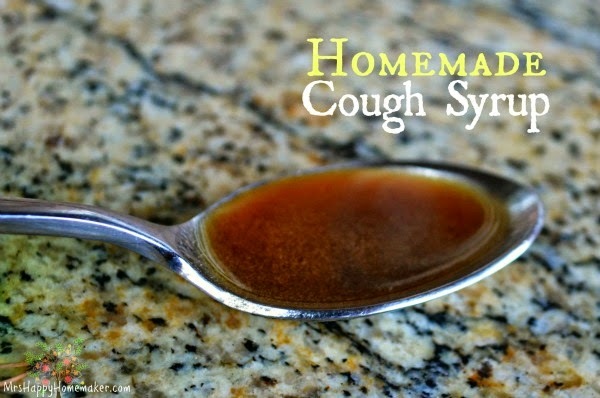 If you do not want to take street cough syrup then you can prepare it at home. It becomes effective and low cost. Let us know some effective cough syrup recipes. The regular consumption of cough syrup harms you, so government banned such products. But do you know the cough syrup which is made at home is very effective and does not have any kind of side effects. Honey, coconut oil and lemon: Heat coconut oil in a bowl and add honey in it. Pour this mixture into your tea and squeezed lemon on it. Honey, onion juice and garlic: Heat a little onion juice in a bowl and turn off the heat. Add garlic buds in hot juice. Mix in hot water and add one teaspoon of honey and drink it. Brown sugar and hot water: Boil one cup of water and add 2 teaspoons brown sugar. When it became cool then mixes it and drinks it. Ginger, garlic and black pepper: Take one cup of water and boil it. Add ginger, two buds of garlic and black pepper in it. Drink it twice a day. Olive oil, pepper and honey: Heat one tablespoon of olive oil and add seeds of black pepper. When the mixture is cool then add one teaspoon of honey and eat it. Honey and herbal tea: Take herbal tea and add honey in it. Drink twice in a day and you will get relaxation in throat. Hot lemon juice: If your throat is hurting then drink hot water and lemon. You can add little sugar or salt if you want. Green tea and Honey: You can get early advantage by drinking green tea with honey. Salt water and lemon juice: Mix the lemon juice with salt water. You will get relief by drinking it. Ginger, garlic and honey: Mix ginger, garlic and honey to make cough syrup. Prepare paste or make blank kunch of it. Mix it with tea and drink it.